New Germany, incorporated in 1887, is a town located in what was once the township of Camden, where it remains to this day. Located in north-central Carver County, the 2010 census lists the town as having a population of 372 residents. 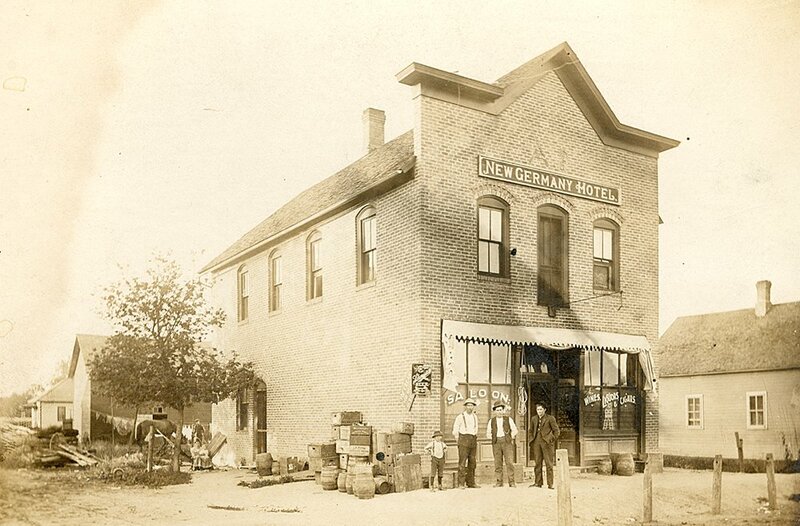 New Germany started as a settlement in the township of Camden, with the earliest immigrants arriving by the 1850s. By 1887, immigrants to the area started to create a settlement around the Great Northern Railroad Depot nearby. They named the town New Germany, after the large number of Germans living in the area at the time. When the town was founded, its area consisted of three family farms, owned by Amand Bury, Christian Wolfrom, and Joseph Paul. The town was incorporated in 1887. When the area of New Germany was first settled, it was part of the Big Woods. Much of this forest was cut down to make room for farms, and to be used as firewood and lumber. This supply of lumber made New Germany a prosperous wood-shipping center from about 1887 to 1895. By 1889, trade to and from the New Germany area increased enough that a side track was built through the town, connecting the depot with the main railroad. The sidetrack has since been removed, but it ran alongside what is now Broadway Street (County Road 30), from one end of town to St. Mark’s Church. As New Germany began to grow, its residents found themselves in need of a post office. 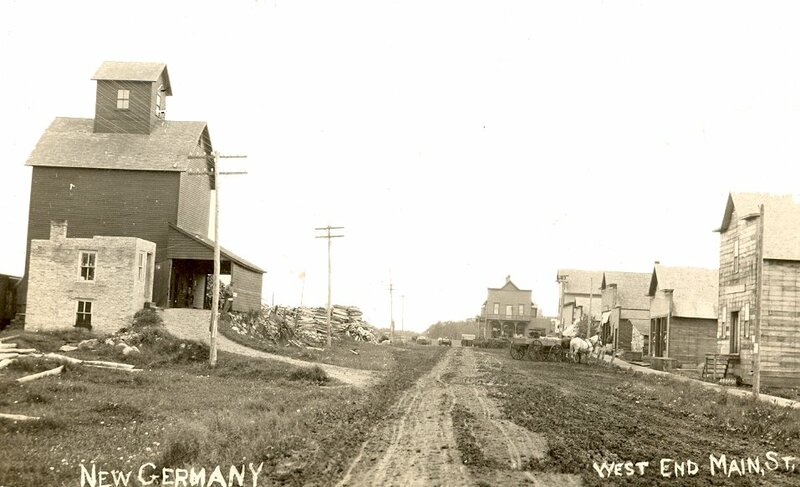 In 1889, the post office from the nearby town of Purity was moved to New Germany. 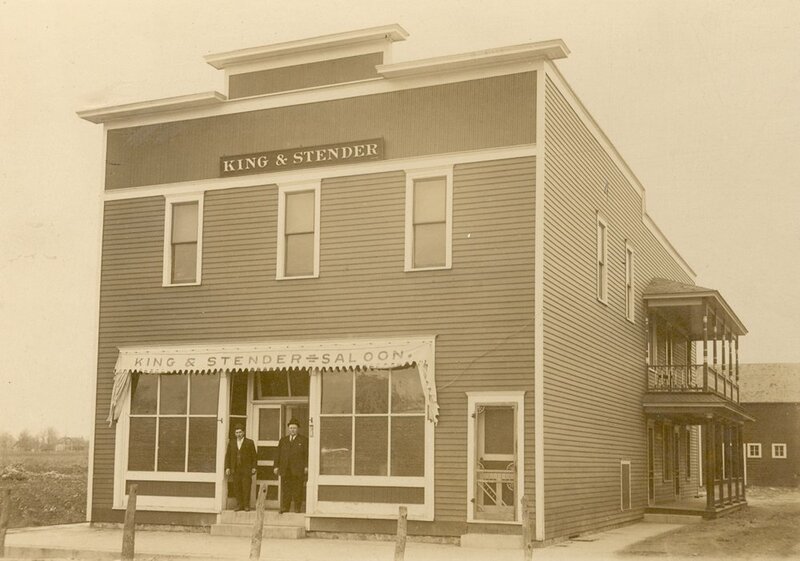 It kept the name “Purity Post Office”, until being renamed “New Germany Post Office” in 1902. In 1901, the New Germany Fire Department was organized, after the town experienced two damaging fires in 1899 and 1900. The fire department became a prominent part of New Germany’s community, and remains so to this day. During the first decade of the 1900s, New Germany continued to experience additional growth and changes. 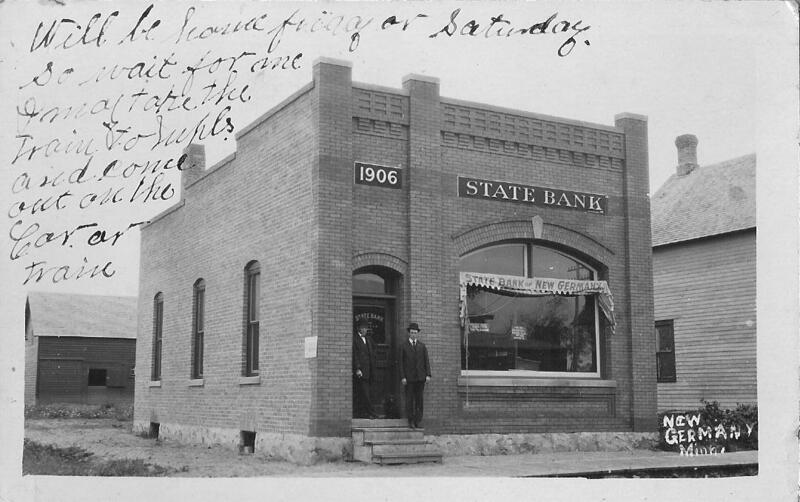 The First State Bank of New Germany was organized in 1905, and moved a year later to its present location. In 1926, it was replaced by the First State Bank of New Germany. In 1908, School District 77 was formed in New Germany, and the town’s public school was built. District 77 lasted until 1958, when it was changed to District 265 by order of the state. New Germany lacked its own church, which led to the foundation of St. Mark’s Lutheran congregation. St. Mark’s was founded in 1914, and the church still stands. In 1914, World War I started in Europe, and created strong anti-German feelings across America. To avoid any sort of association with the Germans fighting in Europe, New Germany changed its name to Motordale in 1917. 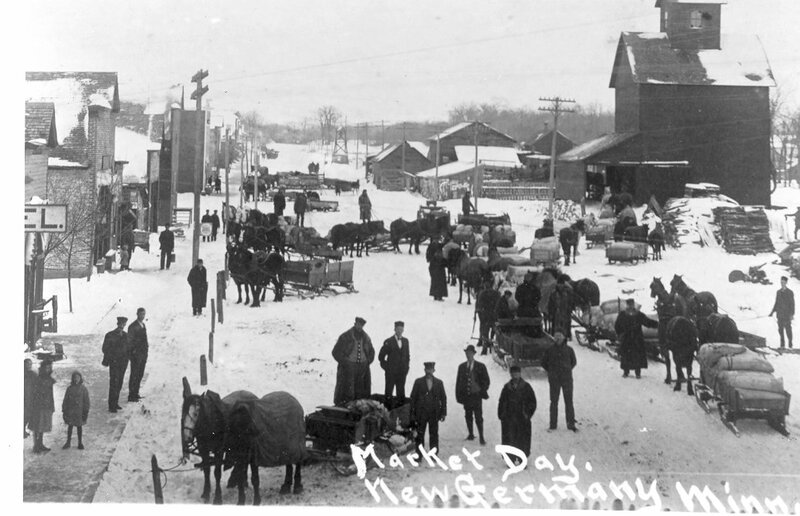 After the war ended, the town went back to its roots with “New Germany” in 1922. In the later 1930s, New Germany found itself in need of a larger structure to house the fire department and its equipment. It was also in need of a town hall and a civic and social center. After several years of consideration, the town voted in 1939 to construct a Village Hall to meet the village’s needs. Construction of the Village Hall started in 1939, and was completed in less than seven months. This fast completion was due to the cooperation of the town council, the fire department, the Commercial club, and citizens of the town. From the 1940s onward, the community of New Germany experienced little change or development. However, several noteworthy events occurred throughout these decades. The town established its official baseball team in 1956, which was given the name “The Dutchmen” in 1959. In 1996, to handle its growing population, the Black Forest Estates became part of the New Germany area. The estates are a 94-acre housing development that single family and twin homes, located on the northeast side of town. In 1998, New Germany was used as a filming location for Herman U.S.A. The film producers chose New Germany because the real town of Herman was too far away. Once the filming ended, the people of New Germany were commended for their cooperation in making the film, and a gazebo that was created for the film remains in New Germany to this day. As the twenty-first century progresses, with the help of Carver County Parks and the Carver County Historical Society, New Germany became a part of the Dakota Rails Trail. The very same railroad that helped create this town is now a trail for bikers, who will have a chance to experience the unique town of New Germany for themselves. Postcard image of New Germany Bank.